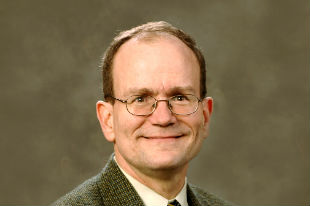 Dr. Theodore R. Weeks earned his Ph.D. from the University of California at Berkeley in 1992 and came to SIU in 1993. He teaches courses in world, European, Eastern European, Polish, and Russian history. His research interests focus on nationality and ethnicity, in particular in the context of East- Central Europe. He is the author of Nation and State in Late Imperial Russia: Nationalism and Russification on Russia’s Western Frontier 1863–1914 (1996) and From Assimilation to Antisemitism: The "Jewish Question" in Poland, 1850–1914 (2003). His latest book is Vilnius Between Nations, 1795-2000. Some of Dr. Weeks' honors include: Fulbright Distinguished Chair at the University of Warsaw in Poland (2008-2009), the 2009 Outstanding Scholar award from the College of Liberal Arts, and the SIU Scholar Excellence Award in 2012.